Understanding and managing cash flow is a challenge for many business owners, particularly new business owners. While we all know that cash is necessary to getting a business started and keeping it going, it can be difficult to determine just how much cash you actually have on hand at any given time. But knowing how much money is moving through the business is critical to knowing whether or not your income is enough to cover your expenses and will provide you with a solid number for your gross business income. This is where a business cash flow analysis comes in. Cash flow refers to the movement of money in and out of the business. Money that comes into the business as the result of sales, investing, loans, etc. is referred to as “Inflow”. Money that goes out of the business for expenditures, purchases, or debt repayment, for example, is “Outflow”. A business’ cash flow is how money balances between these two numbers. Ideally, you want to maintain enough funds on hand to cover your operating expenses and bills with a cushion for unexpected costs that inevitably arise. Periodic business cash flow analysis and reporting are used to check on the financial health of the business. These reports can help project anticipated cash flow for the next several months or even years. Armed with this information, business owners can make sound business decisions, having a better idea of what they can and cannot afford, and even analyzing trends in the business. Operating activities. This covers basic income and losses or expenditures. Investment activities. Here you will find the inflows and outflows that result from purchases and sales of business investments. This may include the purchase or sale of property, assets, equipment, and securities. Financing activities. Any activities that have been financed will be reflected here such as receiving a loan and the loan repayments. Understanding cash flow and making projections is a confusing endeavor for most new business owners. Until you get a firm understanding of inflows and outflows, a CPA cash flow review is money well spent to ensure the financial health of your company. For more information about buying or selling a business in Florida, contact Crowne Atlantic Properties at 407-478-4101. How To Valuate A Business – How Much Is Your Business Worth? So you’ve made the decision to sell your business. But how do you determine a sale price? It can be one of the trickiest parts of selling the business, but it’s also one of the most important. The initial price can determine how quickly the business sells, what kind of buyers it attracts, and even indicate how smoothly the entire process will proceed. When determining a business’ value, it’s always a good idea to get an unbiased third-party involved. Business brokers have a set of standards and procedures that they use to valuate a business. These tools help a business owner determine the business’ net worth and set a price valuation that is reasonable and realistic given current market conditions. Assets. Perhaps the most black-and-white approach, an asset approach looks at the business’ assets and liabilities to determine business value. Market. This approach compares the price of similar businesses to the one being valuated. This approach relies on recent sales data to determine exactly how much buyers are willing to pay and how much sellers are wiling to accept – for such a business. Income. The income approach takes into account the gross business sales and anticipated income that the business will bring in over time. This method is more risky than the other two since it is based on future earnings, not today’s dollars. Every business is different and not all valuation approaches are appropriate for all businesses. You’ll need to choose a method or combination of methods that best reflects your business situation in order to arrive at a valuation number. Crowne Atlantic provides business valuation services, using our exclusive 360 Valuation Service. Through exhaustive research and comprehensive analysis of tangible and intangible factors, we are able to provide an accurate Opinion of Value. This type of business valuation provides business owners with an accurate present value for the business that can then be used to set a price. Crowne Atlantic Business Brokers performs business valuations on all types of businesses for use in many different types of situations. To learn more about our business valuation services contact us at 407-478-4101.
https://www.crowneatlantic.com/wp-content/uploads/2013/01/logo21.png 0 0 Lee Ossin https://www.crowneatlantic.com/wp-content/uploads/2013/01/logo21.png Lee Ossin2015-01-16 09:37:292015-01-16 09:37:29How To Valuate A Business - How Much Is Your Business Worth? Starting a new business is an exciting time, full of ideas and promise. It’s also incredibly hard; filled with long hours and seemingly endless financial investment and time commitment. This is particularly true if the business is brand new. One way to reduce some of the costs and risks associated with starting up a new business is to buy an existing business. When you purchase an existing business you’re buying more than just the physical site, some equipment and a client list. You gain a successful cash flow system, one that is currently in place, proven, and is making money. In addition to jump-starting a Buyer’s success, buying a business can enable a business buyer to leap for greater success and empower them to do it much quicker. Here’s a look at our top 5 reasons to buy a business that’s already up and running. Operational business. An existing business is an operational business. While some business buyers may fear that a Seller only would sell businesses because they are failing, most business owners are selling their businesses for personal reasons including: poor health, retirement, divorce, lack of interest, and relocation. If it’s still hard to believe, take a look at large companies like Google that make buy businesses all the time. Google certainly does not purchase failing businesses, they purchase them get further ahead in a faster manor. We recommend the typical business buyer to do the same. Buying an existing business works to your advantage. There’s no downtime needed to invest in equipment, build a customer base, find suppliers, or train employees. Every process and procedure is in place. Everything is in order for you to walk in and start making money from Day 1. Fewer upfront costs. Established businesses are already perfectly outfitted. There are no build-out or equipment costs unless you’re changing the business entirely. You’ll spend less on marketing, finding employees, and getting permits for building changes. In a way, buying an existing business is like getting an “all-in-one” package deal. It also helps the buyer avoid costly spending mistakes that many new business owners are prone to. Existing employees. When purchasing any new business, most new business owners are able to retain existing employees when they buy a business. This is a huge help to new owners who may not be familiar with running that particular business day-to-day. Existing employees can fill in these gaps, smooth the transition to new management, keep customers happy, and end up being your greatest asset. Existing reputation. Building a reputation takes time and money. Marketing campaigns can be expensive and may not produce results right away. An existing business has a built-in customer base, an existing reputation, and an existing brand with logs, websites, signage, and designs already in place. If you’re savvy, you can search for businesses with a good existing reputation during your business search. This will save you from having to build your reputation from scratch or repair the existing reputation once you become the owner. Less Risk. In business there are no guarantees even though Buyers tend to expect them. Successful business people become successful by taking risks, but you don’t have to risk everything or even a lot in order to be successful. The main thing a business buyer is after when they search for a business is “less risk.” It would be less risk for them to purchase a business than to start one from scratch. All of the above-mentioned benefits lead to “less risk.” A lesser risk with an existing business and proven cash flow system provides more of a guarantee than any start up venture could. You’ll reach your dreams faster with less financial investment, and your chances of success will be far greater than they would be starting from scratch. To learn more about buying an established business in Florida, contact Crowne Atlantic Properties at 407-478-4101. One of the most common questions we get asked by business owners is what their tax liability will be when they sell a business in Florida. They want to know how much they will net out of the sale of their business after paying off fees, equipment, and other expenses at closing. One expense that is often overlooked is the Capital Gains Tax. Many sellers are so eager to sell that they forget about this expense. This is because the Capital Gains is not paid at the time of closing and it doesn’t affect the business transaction until tax time. When a seller sells a business in Orlando or any other area, Capital Gains taxes are applied to the actual profit made upon the sale of the business and not the equity that was put in to the business. As a very basic example, if a seller spent $50,000 to build their business and sold it for $70,000, it’s possible that Capital Gains taxes may apply to $20,000 of the money received at upon closing. However, depending on how a seller’s accountant can interpret the situation, that may not be the case. The percentages for Capital Gains taxes can also change. One year the business owner might be at 20 percent and one year they might be at 15 percent. A good way to help sort out what is owed is by putting together an allocation agreement once a business is sold. When the business sells there is typically an allocation agreement that both the buyer and seller should fill out. This form is used to document how much value was placed on each aspect of the business. This is what capital gains will be based on. Other issues such as whether a seller has a C-Corp or an LLC can also affect a seller’s tax situation. Since Capital Gains is a tax issue, sellers need to involve their accountant from the beginning when they determine they want to sell. In many cases this is best done before the business is even put up for sale. Capital Gains taxes are different for every business so there is no way for Crowne Atlantic Properties to provide an accurate estimate without the detailed tax and business information that your accountant already has. We always remind sellers about the Capital Gains tax and recommend they consult their accountant to figure out their capital gains liabilities long before the closing date because it could prevent a deal from moving forward. Selling or buying a business in Orlando can be exhausting if attempted on your own. Many business owners and buyers opt to work with a business broker in Orlando to help them manage the process and obtain the best results. But not all brokers are created equal. In many cases, finding the right broker to work with you can be even more important than hiring a broker at all. Finding the best Orlando broker to sell a business or help you buy a business takes a little bit of upfront work on you part, but that work will definitely pay off. Here are three tips to help you get started with choosing a business broker in Orlando. 1. Experience. Of course you’ll want to work with a broker who is experienced in helping put buyers and sellers together, but dig a little deeper to find out exactly what that experience entails. The right broker will understand your business and have experience buying and selling properties of equal size. You may even want to find a broker who has been a business owner him or herself to gain that extra insight and understanding they can bring to the process. 2. Resources. Always ask about the broker’s resources to make sure they can handle the additional workload your listing or search will bring. Don’t be afraid to ask how many businesses they’ve sold in the last year. When you do, be sure to find out how many were their own listings as opposed to other brokers’ listings. A good broker will be open to selling their own listings and others equally. This is good news for you since it means they’re more concerned about finding the right match for you than they are about moving their own listings. 3. Services. Find out what services the broker provides and determine whether or not they meet your needs. Some business owners are content to do a lot of the legwork themselves, others want to hand off the listing to the broker so they can concentrate on running the business while it’s listed. Ask about how and where they plan to advertise the business and if they will handle getting all of the paperwork and documentation in order. Pay attention to how responsive the broker is to you. Things can move quickly in business sales, you want timely responses so you don’t miss out on a great opportunity. Crowne Atlantic Properties works with business buyers and sellers across the State of Florida. Contact us at 407-478-4101 to speak to one of our expert business brokers about buying or selling your business. Being in the business brokerage business for well over 10 years, we get requests for all kinds of businesses for sale and potential business opportunities. Popular inquiries that we receive are for businesses that are for sale on or around International Drive in South Orlando. For those of you not familiar with the Orlando area, International Drive is one of the main tourist related arteries in the Orlando. The area is close to both Walt Disney World, Sea World, and Universal Studios as well as other popular tourist attractions in the area. I-Drive, as many of those in Orlando refer to it, is full small attractions along with flea markets and malls. International Drive is also home to the Orange County Convention Center and is home to a huge variety of hotels, restaurants, and retail shops. Businesses including restaurants, hotels and retail shops go up for sale in I-Drive and there are a lot of buyers seeking out these opportunities. There is a good reason for this. The Orlando area hosts over 50 Million travelers a year. A large majority of these travelers will make it down to the tourist area at one point during their stay, even if their reason for traveling to Orlando is unrelated to tourism. As a large tourism artery, a business for sale on International Drive in Orlando has a nice ring to it. Business buyers know there will be plenty of foot traffic and that they will be in good company with other businesses that do well. Here are some of the top 5 tips for buying a business on International Drive in Orlando, Florida. The busy seasons for the I-drive area are different than the rest of Orlando’s busy season. For most of the Orlando area especially when it comes to restaurants and retail stores, the busier season starts at around the end of September after school has been in session for a few weeks and goes on until early May. On the flip side, I-Drive’s busiest season is from mid June to end of August. With thousands of people visiting I-Drive on a regular basis, they are always looking for some where to eat. We get requests specifically for restaurants and eateries that are for sale only on I-Drive. Our general advise is to simply choose a restaurant that you are comfortable with running and it may or may not be on I-Drive. When it comes to businesses on International Drive, rent or leasing may cost you more. It is important that your business broker work with you to make sure you are not overpaying for your rent. Let us do the hard work when it comes to making sure you have the best possible deal. Remember that we have helped buy and sell hundreds of business. Orlando tourists on International Drive are made up of many different market segments. For example, potential target markets for your business on I-Drive include British tourists, Brazilian tourists, European tourists, American families, College-Aged consumers and don’t forget travelers in town for conventions and there are millions of them. Focus on a segment that you think will lead to a high return on investment when you are buying a business. If you’re looking to buy a business on International Drive, you should know that some of the most successful business owners still make deals with travel companies, tour groups, concierges, hotels, and local attractions to bring more customers to their businesses. Relationships can be highly lucrative but difficult to obtain. Make sure your business plan allows your business to be successful on it’s merits even without these relationships because those relationships can easily come and go. The business brokers at Crowne Atlantic can help you every step of the way on your business search. We want to remind you that thousands of local businesses are successful in the Greater Orlando area, so if you are unable to find businesses for sale on I-Drive that you like, definitely don’t shy away from the many others extremely successful areas in Orlando. Call us at 407-478-4101 and we will help you find the right business for sale. A new restaurant owner in Downtown Orlando promises to keep old traditions alive while bringing new traditions to the table. Recently Crowne Atlantic Business Brokers sold a restaurant located in the trendy part of Lake Ivanhoe near the center of Orlando. The restaurant has a reputation spanning almost 50 years as a breakfast lunch restaurant. Currently the business operates as a breakfast lunch restaurant serving omelets, sandwiches, pancakes, waffles, fried chicken and much more. The new owner plans to continue with that menu and down the line open up for dinner and in the evening hours. The evening menu will be a departure from the original breakfast lunch menu. The new owner is also contemplating an eventual name change along with their slight concept change. For now however, they plan to operate it as a breakfast lunch restaurant closing each day at around 3pm. When Crowne Atlantic sold the restaurant, it had to be sold confidentially as the owner did not want to worry the staff and customers with a potential sale. The day it sold, everyone was alerted to the sale and the transition was handled smoothly. After owning a business brokerage for well over a decade, we have sold a bunch of internet based businesses. They are high in demand and we are always looking for more. If you have ever thought about selling your internet business check out our list of tips below to help you on your way. The tips below can help add value to the sale of your internet business and help educate potential sellers on what internet business buyers will be looking for. Below is a list of our top 10 tips for selling internet businesses. 1) Good Records: Buyers always look for great records when they purchase businesses and Internet Businesses for sale are no different. The more information a Seller can show on tax records, the more value they will get for their business. 2) Google Analytics, Pageviews, and Impressions: The amount of pageviews and first impressions matter when it comes to internet businesses. Some buyers outright ask for google analytics so they can see how many times the website comes up in searches. Even if the profits are necessarily there, an internet business with a huge traffic count can add to the value of the business. 3) Webpage Name: Having an Internet Business with a memorable website address matters! So a website called toothbrush.com is going to be more memorable than toothbrushesAplus.com. The better the website address the more a seller might be able to get when they sell their internet business. 4) Automated Systems: The more automated an internet business is, the more internet business buyers will be attracted to it. True internet business owners know that there is no such thing as an internet business that does everything for you with no effort, however buyers would still like to think that possibility exists. If you’re able to create a process where customers can order things off the website directly without having to call, it will be more valuable to the buyer. The more automated, the fewer employees required and the easier it will be for a buyer to manage the business and grow. 5) Search Engine Rankings: When someone searches for the product or service an internet business offers, does the website appear on the first page or tenth page. Whether the business earnings are there or not, it will make a difference to an internet business buyer. 6) Search Engine Optimization Customers want to purchase website businesses that have SEO advertising and marketing campaigns in place. If the website depends heavily on search engine optimization then website business buyers want to see who is implementing these search engine campaigns and will they do it for them at the same rate and efficiency. If the high earnings of a website can only be achieved if the new owners themselves are SEO experts, the overall value to potential buyers will be a lot less. 7) Forward Projections: The product or service being sold needs to have a lifespan or at least look like it will have a lifespan. While no one can predict the future, it is safe to say that a website that focuses on selling pagers or cassette tapes may have days that are numbered. If your internet business appears to have a long potential lifespan, it will be more valuable to potential buyers. 8) Branding: There needs to be something obvious about the website that is bringing customers back. It could be the uniqueness or branding of the products or services offered or the general makeup of the website itself. If a website has a true brand and uniqueness to it, it means there is a potential for repeat business. So instead of potential customers doing another google search for a product or service, they remember this particular site and they go straight there. Having a website where thousands of customers type the name of the website directly instead of searching for it through search engines is golden! 9) Relocation: One of the reasons why internet businesses for sale are so popular is because they can many times be relocated. There are many potential business buyers that reside in areas with not that much opportunity. So for business owners located far from civilization in the mountains of North Carolina or Wyoming, they can have a booming business where ever they decide to live. 10) Inventory Control: Internet business buyers are attracted to businesses that don’t require them to purchase, hold onto, or manage a huge amount of inventory. This is ofcourse easier said than done, but there are some ways to minimize inventory cost and hassle. Drop shipping is the main method of minimizing inventory costs and storage, however it is not always an option. Fulfillment houses are another option for internet business owners that have a lack of space. These fulfillment houses will store their inventory for them and ship inventory out for them as necessary. Another option is to find the cheapest warehouse/ storage space possible and continue to run office management activities from a house or the warehouse space itself to help minimize costs. If you do decide you want to sell your internet business, give Crowne Atlantic Business Brokers a call. You can check out our website at www.crowneatlantic.com or phone us at 407-478-4101. When buyers search for businesses for sale, they are typically attracted to businesses that are priced cheap! There’s no other way to phrase it better. However, we at Crowne Atlantic want people to know that if a business is priced at an unusually low price, there is typically a reason for it and many times it is not the reason Buyers are hoping for. Buyers are often hoping that businesses will be priced cheap because the owners are 100 years old and are tired and want to give the business away for FREE. This unfortunately is rarely the case. Our office has a usual method for evaluating businesses that have very low prices. Now there are some exceptions. For example, if a business is a one-person labor operation that nets $50K a year and is priced at $50K that’s one thing. However if a business is priced $200,000 and is netting $200,000 there is normally an unappealing issue that is driving that price to that level. Depending on the issue at hand it may or may not be an issue that a buyer is willing to accept in the deal. a) The business is making money, but cannot prove it beyond a reasonable doubt on it’s business tax records. So you might see the business is priced at $200K and nets $200K but the seller basically doesn’t keep good books and records and doesn’t report a large amounts of cash received in the business. Some buyers are open to working with this issue and others aren’t, but if a buyer wants that inexpensive deal, they have to accept this kind of issue. One important thing to keep in mind is sometimes businesses take in cash, but they also pay expenses and employees in cash so it is then really hard to prove everything on paper. Many buyers still purchase these businesses because they understand how to back out all the expenses and evaluate them. Some buyers however are not up for that challenge, and that’s okay, but it is important that buyer recognize whether or not they will be able to deal with cash in a business they look to purchase or not. b) The business is undesirable to the majority of buyers in the overall market. A business may be deemed undesirable by the general business buying population for a number of reasons. These reasons may include: high rent, undesirable work, rough work schedule, tough location, or an overall unglamorous industry. A great example of this would be a buyer purchasing the business for $200K and netting $200K, but they might have to work from 8pm to 8am every morning. Rough hours may not attract as many buyers, but a solid business at an unbelievable cheap price can force buyers to reconsider. c) The business requires the buyer has a specific or licensed skill that most don’t have. For example, if we are selling a plumbing company it may be a tougher sell because most buyers will not have a plumbing license and they may not be open to hiring a licensed plumber to their staff their company in order to operate. So a price strategy might be put into action to lower the price and attract more potential buyers. However, if you are open to finding a plumber who will rent you their license or work for the business then it is possible to own and manage one of these companies successfully using that person’s license. Because of these license and experience issues, we can get sometimes find these businesses at a cheaper multiple than other businesses. For example, we have seen plumbing businesses sell for as little as one times earnings (earning $300,000 net and selling for $300,000 net). However, many more main stream businesses with a net of $300,000 will sell for two or three times earnings. The major plus side to owning one of these businesses is that businesses where the owners need a license and a skill to operate is a great way to keep out competition. d) The business advertisement is simply full of fluff and proforma numbers not based on anything solid. There are a lot of business for sale advertisements that are advertising false, misleading, or proforma financial numbers. Some are basically advertising numbers that are a year old and these old numbers are being passed on as the current numbers. Always ask the business broker or business owner how the financial numbers posted were derived or how good the records are. It is a fair question, but don’t be surprised if the business records aren’t perfect especially if you’re looking at notorious cash businesses such as coin laundries, bars, restaurants, and nightclubs. Just remember to be proactive. Businesses with an inexpensive price are typically priced that way for a reason and the Buyer’s main goal is to find out what that reason is and to make sure that they can deal with that reason. The great deals are always out there, but most importantly buyers should be looking for the best business for them and not necessarily the cheapest business advertised. Recently we sold a restaurant for $50,000. The owners had put in $150,000 to build out this place and took a chance on a concept that wasn’t popular. We sold those assets to a buyer who has multiple restaurants and a unique concept who is absolutely flourishing. This owner has experience, he has vision, and he knows his market. This is someone who can handle a turnaround and make it work and get a great deal. That being said, there is nothing wrong with paying good money for a great business. The security, cash flow, and clientele will make that purchase worthwhile. Buying a cheap business will generally come with other issues that a new buyer will have to work with, so if a buyer doesn’t know what they’re doing, it can cost them much more down the road. Our advice is for buyers to have a plan, to know their talents, and to know their limits. If you’re searching a great business to purchase and you don’t want to have to remember all this stuff, you can hire a great business broker like the business brokers at Crowne Atlantic Business Brokers. We will do a lot of the remembering for you when you’re searching to buy the right business. Our commissions work the same way they do in real estate, our fee is built into the purchase price of a business, so hiring us doesn’t cost a buyer any additional money so any future business owner should like the idea of that! https://www.crowneatlantic.com/wp-content/uploads/2014/02/Buying-a-business-in-Florida.jpg 1536 2048 Lee Ossin https://www.crowneatlantic.com/wp-content/uploads/2013/01/logo21.png Lee Ossin2014-02-26 14:03:132014-02-27 11:33:01Cheap Businesses for Sale. Are they worth it? Being that Crowne Atlantic Business Brokers is located in Orlando, Florida, we see a lot of ice cream and yogurt shops. While we don’t necessarily have one on every corner, we do have a lot of them. Some do well and some don’t, but we get a lot of buyers looking for these types of businesses, so if you’re looking to sell here are the top 10 tips to selling an ice cream or yogurt shop business. 2) Ice cream and yogurt shop buyers still want good books and records. It is very tempting for retail business owners to accept cash for many $3 to $4 transactions and not report the cash. After all, who would ever find out. However this tactic hurts owners when they are looking to sell their business. Many business owners feel that if they find someone who is in the business, that they will understand that there is cash that goes unreported. The reality is that owners in the ice cream and yogurt shop business know that if an owner does not report their cash, they as buyers don’t have to accept that it is there and they can offer a lower price. 3) Put together some lists of brief processes and procedures and mention that you have these in place for potential business buyers. Ice cream and yogurt businesses for sale attract a lot of first time business buyers. Many first time business buyers are slightly intimidated to own and run their first business. They are attracted to the ice cream and yogurt shop idea because they’ve been going to ice cream and yogurt shops since they were kids, so it is a business that they can identify with, one that they think they could get a handle of. If a business seller tells a first time buyer that they have all the procedures in places of how to make everything, where to go for vendors, and what to do for emergencies, it will be a huge selling point over other businesses the buyers may be looking at. 4) Price your store to sell, if you want it to sell! Too often ice cream shop and yogurt shop businesses come up for sale on the market and they do not make enough money to justify the price. In many cases, especially with the new and trendy self-serve yogurt shop concepts in the market place, these retail shops are very expensive to build out. A brand new store could cost an owner $250,000 to $400,000 to build out. Even if a business owner is skilled at the art of building new stores, it will still cost them upwards of $150,000. On average business buyers of this type of business will want to see a minimum of a 38 percent return of their investment within the first year for them to justify the price that they will pay. If the business for sale makes little or no money, it will be up to the discretion of each buyer as to how much they feel the build out and the equipment will be worth before they decide on a price. 5) Have a marketing and advertising strategy in place for your business. Most buyers falsely believe that when it comes to owning a yogurt and ice cream shop that location is everything. It’s not! In the Orlando and Central Florida area, all of the best located and most well-known ice cream yogurt shops in the area market and advertise their product in some way, shape or form. Loyal fan email lists, facebook pages, websites, coupons, and local event sponsoring are all great ways to get the word out about the business. Potential business buyers will feel more confident about the strength of the business they are buying. 6) Sell a product line that can be replicated. As a business broker we cannot stress to sellers enough that when they sell a yogurt shop, ice cream shop or any type of food or restaurant business that they need to sell their recipes and proprietary information along with the business if they are hoping to get the best price. What are the sellers saving it for? And if it’s so important why are the seller’s selling their business? This is something Buyers will ask and it will affect the final price in a deal or perhaps halt a deal altogether depending on the outcome. 7) Business name and trademarks are important, however sometimes the business owners find them so important that they refuse to give them up along with the sell of the business. Just like the proprietary information on the product ingredients and suppliers, is the business trademark that important? Is it worth costing you a $200,000 business sale? For the best transactions, business owners should plan of having concepts and trademarks that they can sell to business buyers along with the business, equipment, and assets. It is nothing more than what they themselves would request if they were purchasing a business. 8) One of the best tips for planning to sell a business unfortunately starts out way before when the business owner first develops the business. While it may be too late for some owners reading this article, it is never to early for a business owner to plan out potential exit strategies for when they may have to sell their business. Unfortunately there are too many tips to mention in this article, but the main tips we would offer owners starting up an ice cream or yogurt shop business is for them to focus on the business aspect of the business. Future business owners in any case should figure out where they intend to draw customers from, how much of their product they think they can realistically sell, and how much they will make after covering all their fixed expenses. Amazingly, most future ice cream and yogurt shop business owners fail to take just those few simple steps. Don’t fall into that trap! 9) Branding and customer reviews matter! If you’re trying to sell your ice cream or yogurt shop business please keep in mind that whether the store is doing well or not, the branding and customer reviews still matter. Recently Crowne Atlantic Business Brokers sold a yogurt shop and it was not doing amazingly well financially, however the product was terrific and the online customer reviews showed this to be the case. The new owners felt that they could turn the business around and they purchased it! 10) Hire a business broker! If you’ve never sold a business before a skilled business broker can educate a seller on all of the above and much more. They can give sellers an idea of what offers buyers might place on their business and what to expect by putting the business for sale on the open market. For more information on selling your ice cream or yogurt store business please feel free to check out our website at www.crowneatlantic.com or phone us at 407-478-4101. The business brokers at Crowne Atlantic Business Brokers sell a large variety of restaurants and bars in the Central Florida and Orlando area. 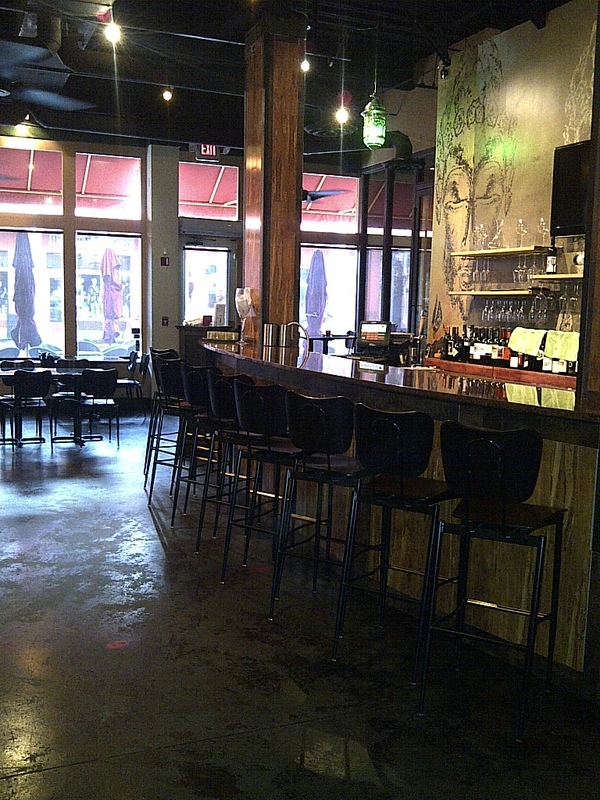 Recently we sold a restaurant and wine bar located on the south side of Orlando. It was a great transaction where the seller had built their restaurant to sales at around $1 Million a year. The buyer came from out of town and was happy to get a business that not only made a great income, but also was one in an industry that they had experience in. One of the main reasons why we were able to sell the restaurant and bar was because the previous owner kept great financial records. 1) It shows the buyer exactly what the business makes, what their expenses are, and what their profit is so Buyers know what they are getting and they cannot use “a lack of financial proof” as an excuse not to purchase the business. 2) Owners with excellent financial records can obtain higher prices for their businesses. 3) Most restaurants and bars do not keep great books and records, so when there is a long list of restaurants and bars for sale, the ones that keep financial records stand apart from the others allowing for a higher probability that they will sell. 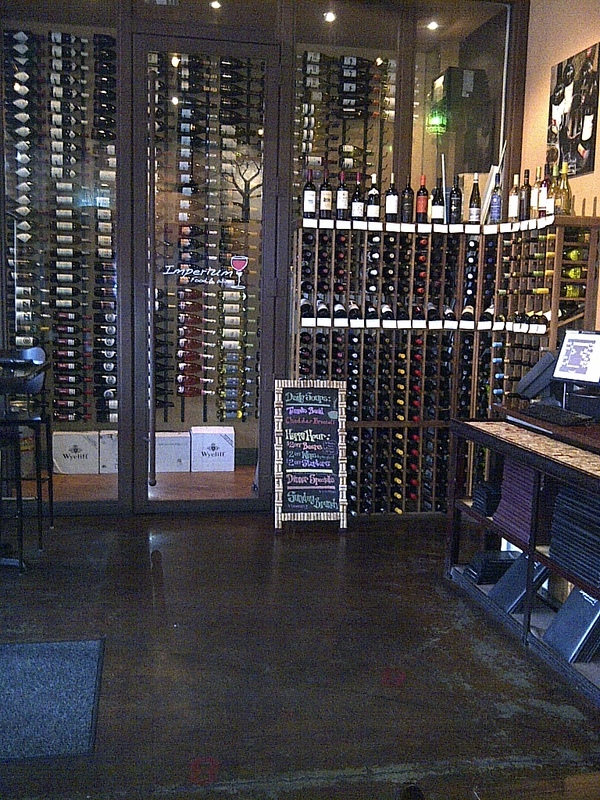 This wine bar in Orlando had a great location with walking traffic plus that had ample indoor and outdoor seating. They did not sell liquor so wine was the main alcohol of choice. 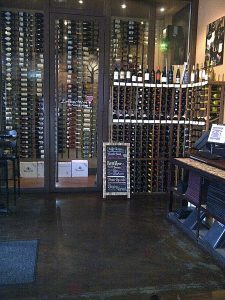 One of the main staples of the wine bar business is that wine bars have to purchase their wines by the case at wholesale prices in order to make a profit. The key to this formula is that when wine bars sell wine by the glass they make their most amount of profit. A wine bottle typically holds enough wine to fill up four glasses. When a wine bar sells just one glass, the price charged for that one glass of wine should be enough to pay for the entire bottle that it came from, leaving the other three glasses sold as profit. So the next time you go to a restaurant or a bar and order a glass of wine for $8, chances are the bottle that it came from also cost $8 at a wholesale by the case price. Recently the agents at Crowne Atlantic sold another large restaurant and bar located in Downtown Orlando. The restaurant was approximately 4,000 square feet inside and had a large patio area to work with that is over 10,000 square feet. At the time of purchase the restaurant was a closed entity, however it was fully equipped with everything including kitchen equipment, inventory, chairs, plates and pretty much everything to open up again. The Buyer got a great deal and is reportedly doing very well in the location. The deal was handled by Lee Ossin, business broker at Crowne Atlantic. One of the things things that was stressed throughout the process was the concept that would be put in place. The buyer spent a lot of time going through menu items and concepts to determine what would be the best fit for this location. Once the concept was worked out, the buyer went through and carefully figured out what type of operation the restaurant would have including, how dinner service would work, how the bar would be staffed, and how special events would be scheduled. Because the buyer wanted to make sure they got everything right, they took an additional month after purchasing the restaurant to make improvements to anything that might need additional fixing. Essentially this is an example of proper planning when starting up a restaurant. At Crowne Atlantic we sell a ton of successful restaurants and bars, but we also work with a lot of Sellers looking to sell restaurants and bars that for whatever reason they are not doing well with. When we sell these facilities to a Buyer we look for Buyers that have a sense of what kind of concept and operation they plan on having. There are a lot of myths out there that restaurants and bars are tough businesses. However this industry is no tougher than many other industries, but they do operate differently than most other businesses. Some Buyers are cut out for the work and others are not. Restaurants have a lot of moving parts that newcomers may not be ready for including: inventory that can go bad, planning out attractive concepts, working hours when everyone else is off from work, and dealing with large amounts of employees. At the same time Crowne Atlantic. has tons of clients that not only handle all these aspects, but are successful business leaders in the community, ones that others go to for advice. At Crowne Atlantic we work with Buyers to make sure that they have everything lined up. It is important for our Sellers that the next Buyer is successful, especially since these Sellers are typically assigning the lease to a new owner and are still potentially on the hook for the rent if a new owner defaults. We make sure that Buyers have a concept in mind and an idea of what type of operation they plan to do. The location helps take care of the rest. If you are looking to Buy or Sell a restaurant or bar in the Orlando or Central Florida area, call Crowne Atlantic at 407-478-4101 or check out their website at www.crowneatlantic.com. A week ago the brokers at Crowne Atlantic Business Brokers sold a popular downtown restaurant known as Atilla’s Steak and Salad. It was a restaurant known for their Turkish Cuisine. After owning it for five years the owners have decided to retire. Crowne Atlantic sold the restaurant to a new group that plans to remodel and change the concept to Pig Floyd Smokehouse! Pig Floyd Smokehouse plans on remodeling the restaurant for their new concept in the Orlando area. 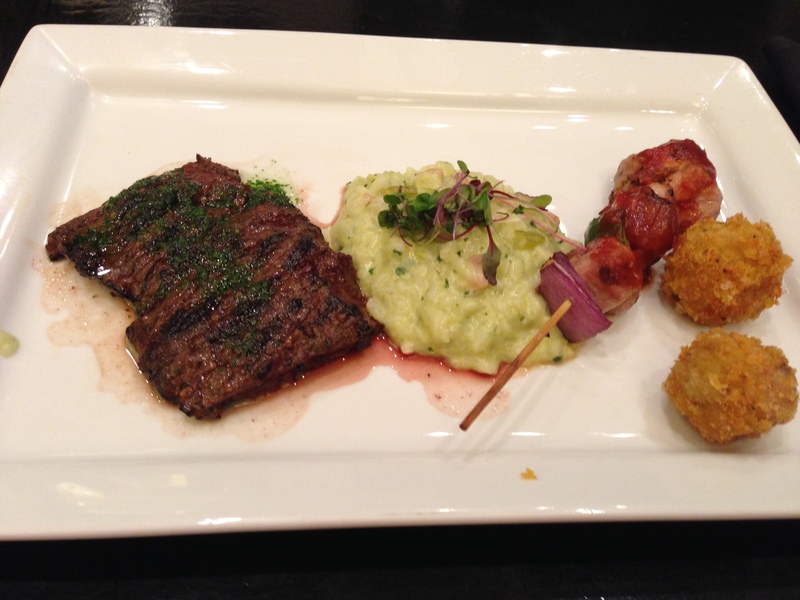 They will offer Carolina style BBQ along with many other specialties. The restaurant will be headed up and managed by Thomas Ward who is well-known in the area as the owner of Treehouse Truck, a popular food truck vendor. In the Greater Orlando area we as business brokers get a lot of activity and inquiries on Coffee Shop businesses for sale. While we are many times unsure where all these requests come from, we are pretty sure they come from buyers that are originating from NY or up in the Northern states somewhere. The reality is that the coffee business is a different business down here in Florida. Culturally we like our coffee differently than they do in other parts of the country and Orlando residents patronize coffee shops differently as well. 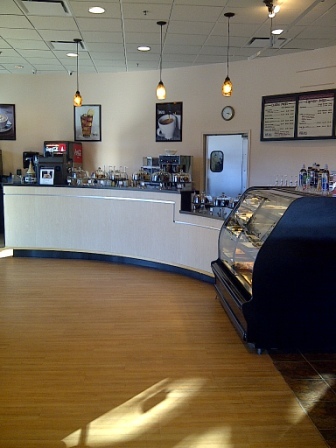 Recently we sold a coffee shop in the Orlando area to a buyer. It is a great coffee shop that was for sale. 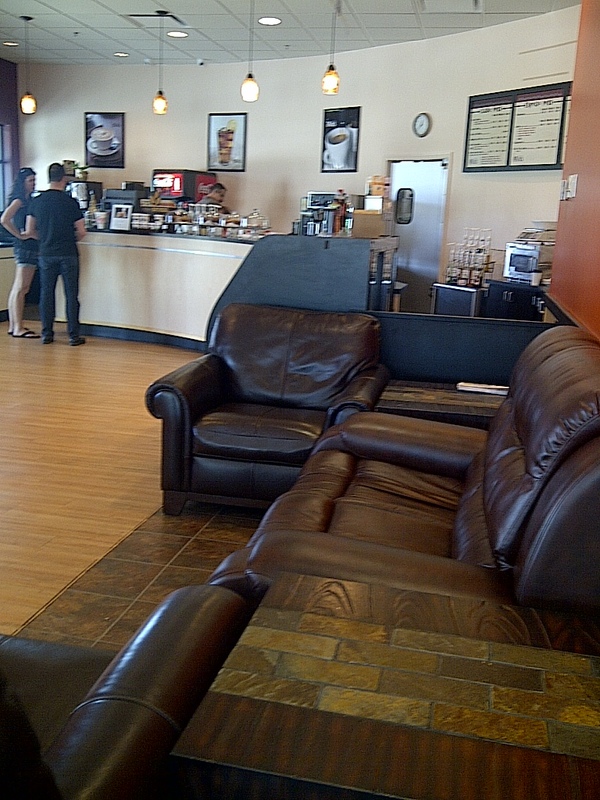 It has a great buildout and it has been able to survive for years while other coffee shops have started and failed. Why is this coffee shop successful? 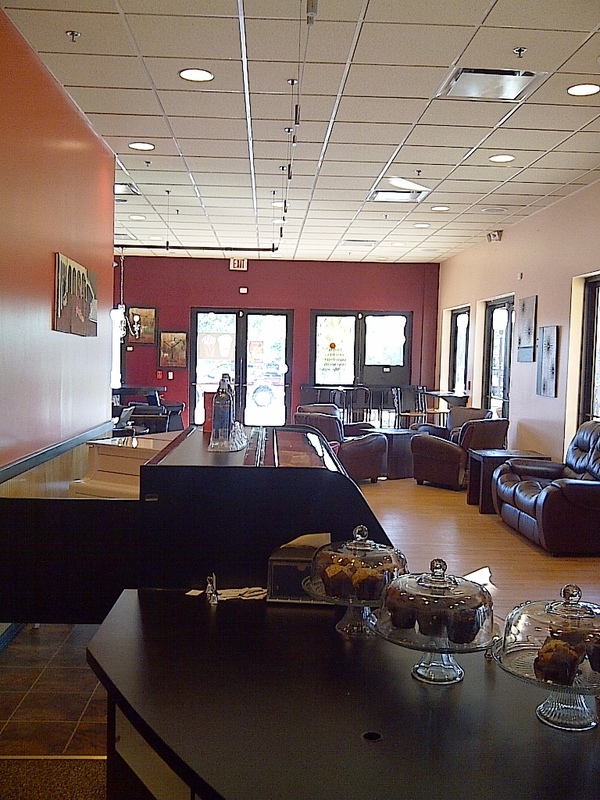 For a coffee shop to survive in the Orlando area, it has to be in a location that makes sense. Name recognition counts for a lot in Orlando because there are a lot of non-natives that live here. So competition from the big name coffee shops and fast food restaurants that serve breakfast and coffee is fierce. A location where customers can easily see you and access the shop quickly is very important. Having a non-generic brand of coffee is a great way to gain advantages over competitors. Some shops use brands that aren’t found easily in the Orlando and Central Florida area and other shops choose to roast their own beans. Offering a brand of coffee that customers can only find at your place is a surefire way to keep a loyal client base. Even the big coffee chains offer more than just coffee so independent coffee shop owners need to do the same as well. Food, pastries, ice cream, cake, dessert, sandwiches, soups or any food item that can be offered is a plus. Its also another way to increase profits. If customers can stop by and grab a small lunch or breakfast in addition to coffee it gives them one more reason to make a stop there. Long gone are the days where coffee shops could be located in the dusty used book shops. Now most successful coffee shops are located in more modern locations that either have brand new or extremely trendy/ bohemian type build outs. There are many customers that go out to have coffee in order to enjoy the experience or they go out so they have a place to meet friends, business clients, or to go on a date. 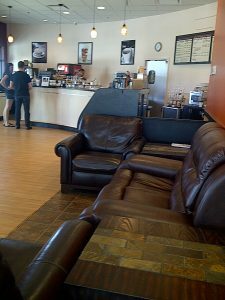 Coffee shops need to be clean, inviting, friendly, and if possible unique. Too often business brokers at Crowne Atlantic Business Brokers encounter restaurants, bars, and even coffee shops that owners are trying to sell because they are having trouble making their concept work. Many times owners find themselves in a space that they simply cannot afford because either the rent is too high or they do not have enough business coming through the doors to pay their overall overhead. Often times we ask, “did you run the numbers?” Before entering into a new business, we encourage Buyers to run the numbers, calculate how many cups of coffee and pastries you will need to sell in order to be profitable each day. This forces Buyers to think about their upcoming business venture and helps them determine whether the space will work for them or if they need to pass on it. Do you think you will have the best coffee in town? What about the best donut at a coffee shop? Perhaps you should test out your product in the local area to see what every day citizens apart from your friends and family think. You could start catering or sponsoring local events and displaying your product there. You could also put together a booth at one of the many farmer’s markets or festivals that occur in Central Florida. See what people think. Worst case scenario you can pack up your tent and try again another day. Best case scenario you can develop a local following of people who can’t wait until you open up your first store. One of the biggest advantages independent business owners have over their big competitors is that they can be present at their stores. They can be there to manage and train employees the way they want them to be trained and they can present the products the way they want them to be presented. Owners can also familiarize themselves with customers, and help build a loyal client base. Many times customers will go to a particular restaurant or coffee shop simply because they know the owner. That loyalty only builds if the owner works at the facility at least part of the time. The coffee shop that we just sold in Orlando basically satisfies all of these above requirements. Take a look at the photos of the shop and give us your thoughts. 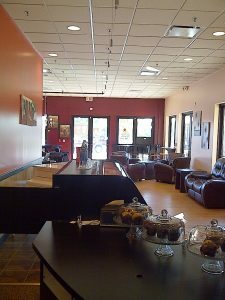 If you’re looking to start up or sell a coffee shop or another type of business please feel free to contact us if you have any questions at 407-478-4101 or check out our website at www.crowneatlantic.com. Crowne Atlantic Business Brokers recently sold a large restaurant and bar in the Downtown Orlando area. The restaurant was fully built out with a large kitchen, hood system, walk-in coolers along with a 4,000 square feet of restaurant space. There were over 160 seats in total so the restaurant qualifies for a 4COPSRX Liquor license. 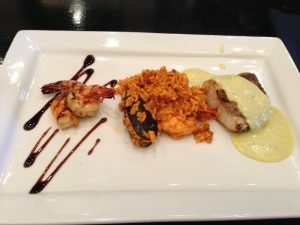 As a bonus the restaurant is located at the base of a large office building downtown and has access to a large courtyard area that can be used for outdoor seating at the restaurant or to put on special events. Crowne Atlantic Business Brokers recently sold yet another restaurant in the Orlando area as an asset sale. An asset sale is a nickname used by business brokers, sellers, and sometimes buyers to reflect a purchase for a restaurant for a reason other than cash flow. In these transactions the Buyer purchases the restaurant not because of its revenue, but for many other reasons including location, buildout, equipment, or all three. Why would anyone buy a restaurant that’s not doing well you ask? Its very simple to understand why once a person has gone through or attempted to go through the process of building out a restaurant from scratch. You see the state of Florida has something called impact fees. These are taxes that are levied on businesses that start up and build out in spaces, especially retail spaces. 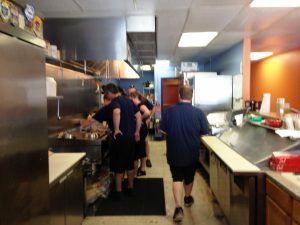 Restaurant entrepreneurs could find themselves spending sometimes hundreds of thousands of dollars on not only impact fees, but additional add-ons required by updated city and county codes including larger bathrooms, more parking, larger grease traps, additional doorways, more fire sprinklers and the list goes on and on. Before you know it you’ve committed to spending $150,000 that you did not intend on spending. What does a restaurant entrepreneur get when they purchase an asset sale restaurant for sale? They get a whole package of convenience!! At Crowne Atlantic Business Brokers we can find you a fully built restaurant for fraction of what it would cost to build out a new one from scratch. These restaurants are many times fully decked out with the equipment completely installed. This equipment typically includes hood systems, POS systems, camera systems, ovens, seating, dishes, walk-in coolers, grease traps, ADA complying bathrooms and much more. As a bonus, many of these restaurants are still open and have an existing client base and a sales base for the next owner to build off of. The biggest objection we get from buyers when we sell these restaurants is their incorrect belief that the location is bad. While occasionally this can be true, we find that in most cases there is something wrong with the concept, the operation, or in some instances the owners simply do not have the time to operate the restaurants the way they need to be run. In this particular scenario, we had a seller who simply no longer had the patience for the restaurant business. They had an incredible looking restaurant and their product was terrific, but at the end of the day they had been in the industry for many years and simply did not want to work the hours that the business would require to become successful. We sold it to a company that already owned several restaurants in the Orlando area and they were looking for a third location to expand their concept. We got them this location for a very inexpensive price, one that they would have trouble duplicating elsewhere. It was a great deal for all parties involved! If you are looking for a restaurant to start up and you are looking to conserve funds, give us a call at 407-478-4101. At the same time, if you or someone you know owns a restaurant that is not doing well and you are looking to get out with some money in your pocket, don’t shut it down and allow the landlord to seize your equipment and deposit. Call us and let us help 407-478-4101. We can sell your restaurant in the Orlando and Central Florida area. 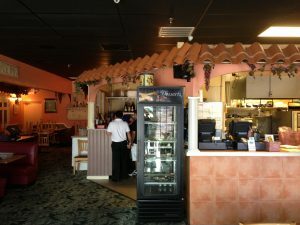 https://www.crowneatlantic.com/wp-content/uploads/2013/06/restaurant-for-sale-Florida.jpg 477 635 Lee Ossin https://www.crowneatlantic.com/wp-content/uploads/2013/01/logo21.png Lee Ossin2013-09-02 20:34:172013-09-02 20:34:45Crowne Atlantic Business Brokers specializes in selling restaurants as "Asset Sales"
Myths Busted: Popular Buyer Myths When searching Businesses for Sale. At Crowne Atlantic Business Brokers, not a week goes by when we are speaking with a buyer and we ask how they will purchase the business for sale, and the buyer’s reply is (drum roll please)………money is “no problem.” This comment is used widely by buyers when speaking with both business brokers and business owners, and this statement is tough to hear because money always seems to be by far the largest issue in any transaction. In fact if every business buyer had more than enough financing available, there would be a much higher percentage of sold businesses. Most buyers however phone business owners and business brokers without even giving a second thought as to how they would make these purchases. They are hoping that a business opportunity will prompt them to begin to think about how they might purchase a business and where the purchase funds might come from. The reality is that both seasoned business owners and business brokers know better. Both of these groups know that financing for small businesses is often times tough to put together. However, an overwhelmingly large majority of the potential buyers that contact us on businesses for sale surprisingly feel that money will be readily available. They feel that obtaining money that they currently do not have for purchases can be found with little or no problem. While it is difficult to determine why this is the case, it is possible that many business buyers believe they can easily get a business loan, because one can theoretically get a loan for a large purchase of just about anything in the United States. People can get a loan for a house, a car, a boat, a piece of property, jewelry, education, and if people can’t get a loan for an item they can put it on their credit card. However this easy money does not exist in the world of small business when it comes to purchasing an existing business. We felt it may be important to dispel some widely prevalent myths in the world of small business purchasing and financing. 1) I can get a bank loan for any business purchase. This is the one that business brokers and owners hear most from buyers. Many buyers assume that banks will finance any business purchase simply because they ask them to or they put together a business plan. Business buyers have to understand that even if they are dealing with their own personal bank, in most cases a loan for them requires them and the business they are looking at purchasing to follow the same protocols as everyone else. These include the buyers qualifying for a loan and the business they are looking at to qualify for a bank loan. 2) The Seller of the business will finance the purchase of the business for me with no money down or with a 20% down payment. While it is true that a large majority of business purchases in the country have some sort of element of seller or owner financing in the transaction, the reality is that buyers still need to come up with a hefty amount of money for a down payment. As business brokers in the Orlando and Central Florida area, the majority of deals that we see with owner financing that are successful typically have buyers that are putting down at least 65% to 80% in the deal as a down payment. In most cases if a buyer is not able to put down at least 50% percent of the purchase price down at closing the deal is not able to make it to closing. Sellers want a large amount of money down because they want to know that buyers are committed to working the business. They also want to know that the buyer will be able to generate enough profit from the business to pay off the note and earn money simultaneously. When a seller receives a large down payment, they are assured that the buyer has incentive not to walk away. Last week, we had a buyer call on a business with a net of $200,000 a year to the owner. The business was priced at $300,000. It’s was a great price for a business for sale in the Orlando area. The buyer who called fully expected that the seller would be open to their offer of $50,000 down. While anything is possible and it is always good to ask, buyers need to put themselves in seller’s shoes when they make these requests. When we asked this particular buyer if they would take that deal if they were the seller, they admitted that they would not take it. So keep in mind if you’re a buyer looking for owner financing in a business purchase, you will have a much better chance of getting an accepted offer if it is an offer that you yourself would agree to. 3) We can get a business loan without going through SBA (Small Business Administration). Obtaining a business loan from a bank without it passing through SBA is tough and typically is not an option for most buyers. Buyers that obtain commercial loans through banks for business purchases typically have a lot of collateral to back up those loans. The same type of collateral applies for home-equity loans. If the home a buyer is using for collateral does not back up the home-equity loan, then the financing deal will not go forward. Many buyers want to avoid going through an SBA loan because they are expensive, time-consuming, and SBA lenders are very strict on receiving every small detail funding a loan. However, in most cases SBA backed lender is unavoidable as any business loan where collateral does not cover for the loan 100% will typically have to pass under the SBA regulations. In addition, it is important for buyers to know that the SBA themselves does not finance the business loans, they are simply the regulatory agency that every bank has to go through in order to get them. 4) I have good credit, years of experience, and I’ve bought and sold businesses in the past so a bank and the SBA will finance any business purchase I bring to them. No matter how seasoned a business owner is, some businesses simply will not qualify for a bank loan. In fact it would be impossible to even generalize that banks would finance most available businesses for a buyer because the lending process is done on a case by case basis. For example, many banks will not finance certain industries such as restaurants, manufacturing, and or high-tech business purchases unless a buyer has or can demonstrate past experience in those industries for a number of years. In addition to buyer requirements, the SBA and banks would not classify and approve the cash and personal deductions that a lot of businesses owners make while they own a business. Businesses priced under $300,000 especially tend to have personal deductions and take cash under the table. The banks and the SBA would not factor these elements into the loan approval process. The bottom line is that a large majority of businesses for sale in the Orlando and Florida market will not qualify with a lender regardless of the buyer’s qualifications. 5) My family member (Uncle, Father, Grandma, Sister), mystery investor, or extremely wealthy close friend will give me the money for the business purchase. Both business brokers and business owners hear this from buyers constantly. However when asked what the buyer’s investors would require from each purchase before making the decision to loan the money, most of these buyers can only offer blank stares and in most cases have not even seriously discussed a business purchase with their so-called investors. The reality is that most buyers claiming to have mystery financial investors don’t even get close to the finish line of completing a transaction. In order for deals with investors to work is for the investors to be involved from the beginning in the entire process. They attend all the buyer and seller meetings, they are fully prepared to sign a lease for the business premises if required, and they and the buyer managing the communications between the investors is fully aware of what their requirements are and what it will take to fulfill them. So if you’re a buyer and you are counting on an investor to fund your business purchase, make sure they are on board with your plan and make sure you find out what their requirements are before searching for business opportunities. You will not only save the business owner’s and business broker’s time, but you will save yourself a ton of time. On most businesses we require not only a nondisclosure but a financial statement. If the buyer calling is not the one funding the business, we many times ask for a nondisclosure and financial statement from the one that is. The buyers with real investors can always provide that information for us. 6) Banks will finance any size purchase for me. When banks lend business buyers money, they are looking to do so with the goal of making money as well. This means that the loan amounts need to be high enough to be worth the banks while. If buyers speak with legit and professional SBA bank lenders they will find that deals priced at $100,000 simply cannot qualify for financing. For the really good SBA lenders to work on a deal, they typically need it to be selling for closing to $200,000 to $250,000 as a minimum before they start to work on a deal. There are also limits for the more expensive businesses as well. SBA in most cases unless there is real estate will not approve deals valued at more than $2 Million. Those deals are typically financed using other methods. 7) If I can take a look at the business, I’ll be able to find the money to purchase it. There are many reasons why Business Brokers and Sellers don’t want unqualified buyers looking at their business. Every time we have a buyer sign an NDA and they are given a package, a seller does run a risk of that buyer not being discrete and allowing their competitors, employees, or the general public to know that business is for sale. In addition, the Seller doesn’t want a buyer going around town trying to find investors and disclosing the details of the business to individuals who have not signed the NDA. Sellers want to meet buyers who are ready to move forward. It is difficult to sell a business and even more difficult to wait for a buyer who has to “find” the money in order to move forward. It is always best that a buyer understands their true financial situation. If a buyer has an investor, they really need to speak with them about buying a business and have them accompany them to all the meetings. If you had $1,000,000 just laying around and someone you knew wanted to buy a business, would you give it to them with no knowledge of what they plan on purchasing with it? Would you just allow this person who has never owned a business to take your $1,000,000 and make all of the decisions? The answer is probably not. This is precisely why sellers don’t want to meet with unqualified buyers. Those buyers aren’t the ones making the decisions, it is always the investor. https://www.crowneatlantic.com/wp-content/uploads/2013/07/Warehouse-photo.jpg 800 1200 Lee Ossin https://www.crowneatlantic.com/wp-content/uploads/2013/01/logo21.png Lee Ossin2013-08-12 13:06:122013-12-17 15:34:32Myths Busted: Popular Buyer Myths When searching Businesses for Sale. The Advantages of using a Buyer’s Broker when buying a business. When looking to purchase a business in the Orlando and Central Florida area, many buyers don’t know where to start. In most cases they start looking things up online and ending up speaking with whomever they speak with. There’s a quicker and more efficient way however that most buyers do not even know or think about. Instead of blindly searching through countless webpages, they can opt to hire a Buyer’s broker. The best part of the arrangement is that the Buyer’s broker will charge the buyer absolutely nothing for the use of their services and expertise if the businesses they are looking at are already listed. Most businesses found advertised openly are represented by brokers and in most cases a Buyer’s business broker can help a buyer search efficiently and save them an incredible amount of time. Below are some of the major advantages of using a Buyer’s Broker when buying a business. 2) Up to date sales comparisons and past comparable business transactions. In addition to bringing sales comparisons and past sale comparisons to the table, using a business brokers to help negotiate the deal brings the business buyer a huge advantage. For one thing, business brokers can be used to pick up the slack and help keep the transaction moving. If a seller is busy or feels that certain information is unimportant, the buyer can ask the business broker to continue to pursue the information until it is received. After all, one of the goals of the buyer is to maintain good relations with the seller, but they cannot do that if they are seen as an aggressor that continuously hassles the seller. Using a buyer’s broker also keeps the deal very professional. Sellers, landlords, accountants, and lawyers will definitely know that a buyer is more serious about the deal if they hire their own agent to help them. They will be much more motivated to help put information together for a buyer knowing that a broker will continue to pursue the information on the buyer’s behalf. One of the biggest things we encounter as business brokers at Crowne Atlantic is many times we will visit Sellers looking to sell and they freely admit they overpaid for the business when they purchased it and almost always they were not working with a buyer’s broker. Had they been working with a buyer’s broker it’s likely that they would have focused more on all the most important elements leaving their broker to help with the minor elements and they could have obtained a better deal. In other cases I’ve found that buyers assume if they deal with one buyer’s broker that they can get a better deal and in some instances force the broker to give up part of their fee to make the deal work. However in reality, we’ve never seen that as the case. In fact in many instances when agents at Crowne Atlantic have brought buyers to other broker listings our buyers have gotten incredible deals. This sometimes happens because the sellers had told their agents what they would and would not accept, but we as the buyer’s agent never received that speech and simply presented an unbiased offer to the seller. In a lot of cases these offers are accepted. If you’re a buyer looking for a business in Florida, one of the biggest advantages the business broker system has in Florida is that there is a multiple listing system set up in Florida that allows business brokers access to thousands of businesses for sale across the state. A buyer’s broker can help buyers narrow down options and focus on businesses that would suit them the best. Buyer’s brokers can show their listings and other brokers’ listings with a few clicks on the computer. At Crowne Atlantic Brokers we can pinpoint exactly what buyers want based on some of the key qualifications. Many of these buyers would have to wait weeks to receive the information that business brokers could obtain for them within an hour or two. For example a buyer can call up Crowne Atlantic and we can narrow down all the businesses that fit within their parameters in just a little bit of time for the whole market. We can inform buyers which businesses put everything on their tax records and which ones don’t and we can even give them an idea in what part of town each business is located in. https://www.crowneatlantic.com/wp-content/uploads/2013/08/The-Advantages-of-Using-a-Buyers-Broker-when-buying-a-business-in-Orlando-Florida.jpg 1536 2048 Lee Ossin https://www.crowneatlantic.com/wp-content/uploads/2013/01/logo21.png Lee Ossin2013-08-05 10:41:012014-01-25 10:15:07The Advantages of using a Buyer’s Broker when buying a business. Treaty Countries with the U.S.A. from the http://travel.state.gov/visa website for investors looking to immigrate to the U.S.A. through purchasing a business. France – The Treaty which entered into force on December 21, 1960, applies only to mainland France and the overseas departments and territories of Martinique, Guadeloupe, French Guiana and Reunion. United Kingdom – The Convention which entered into force on July 03, 1815, applies only to British territory in Europe (the British Isles (except the Republic of Ireland), the Channel Islands and Gibraltar) and to “inhabitants” of such territory. This term, as used in the Convention, means “one who resides actually and permanently in a given place, and has his domicile there.” Also, in order to qualify for treaty trader or treaty investor status under this treaty, the alien must be a national of the United Kingdom. Individuals having the nationality of members of the Commonwealth other than the United Kingdom do not qualify for treaty trader or treaty investor status under this treaty. We find sometimes it is challenging for investors from abroad to get the correct information when purchasing a business to obtain an L-1 Visa to immigrate. Below is the information from the government website. •	Currently be, or will be, doing business as an employer in the United States and in at least one other country directly or through a qualifying organization for the duration of the beneficiary’s stay in the United States as an L-1. While the business must be viable, there is no requirement that it be engaged in international trade. •	Be seeking to enter the United States to provide service in an executive or managerial capacity for a branch of the same employer or one of its qualifying organizations. •	The intended U.S. office will support an executive or managerial position within one year of the approval of the petition. 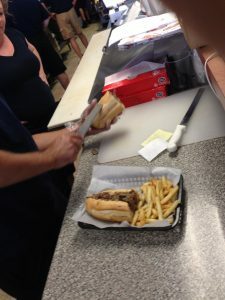 Recently Crowne Atlantic Business Brokers sold a Philly Cheesesteak Sub Shop in the area of Brevard County by Melbourne. The business was run by an owner with a passion for cheesesteaks and everything Philadelphia. So much so, that after building their established business they decided they wanted to move back to Philadelphia. A buyer with a lot of restaurant experience purchased the restaurant. This buyer reportedly told us that she had inquired and look at over 40 restaurants on the market over a 6-month period. They had recently relocated to Florida from up North and were looking to acquire a business. This restaurant was clean, well-run, the product was excellent, the owner kept financial records, and if that wasn’t enough already, it was an extra bonus that the restaurant’s online reviews were were exceptional. 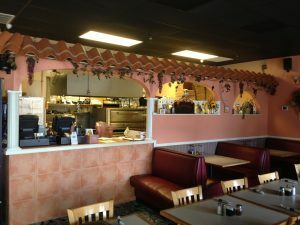 We’re displaying some pictures on this post so you can see the size of the restaurant. Not too big and not too small. The restaurant had a good working kitchen with a large hood and probably around 50 seats. The staff was told about the sale before it occurred to our knowledge everyone stayed on after the purchase. At the time of purchase the business was grossing an average of $36,000 a month and netting the owner an average of $65,000 a year. The business was purchased for $99,000 including inventory, and both parties got a great deal. Recently Crowne Atlantic Business Brokers sold a law office in the South Florida area. It was a great transaction both beneficial to the buyer and seller. This particular transaction was not even a large one. In fact this law office actually sold for less than $100,000. So why was it an attractive deal? The office purchased was owned by an attorney who had been practicing for several decades and was looking to retire. He had a huge backlog of files, casework, and current clients that he was currently working with. Instead of simply closing up shop and disappearing, this attorney decided to sell their business to another firm. While the attorney did make some money on the deal, this deal was not about the money. By selling his law practice he would be able to offer his clients continuity as they would have an entity to go in the event they needed information, advice, or documentation from his practice in the future. After the sale of his law office he would work for a period of time with the buying law office in order to ensure a smooth transition. It also gave a place for his secretary and assistant to continue working if they wanted to. The law firm that decided to make the purchase made it on the basis that they would be obtaining access to a large client base that this attorney had done work for in the past and knew that these clients would continue to need services in the future. They knew that a previous client would contact the office when they needed work done, simply because that office has access to some of their more recent files. It gives the buying law office the ability to expand their presence and reputation to a client base that previously was unavailable to them. All in all it was a solid deal, where each party including the clients would benefit. At Crowne Atlantic Business Brokers, we sell law firms and law offices of all different fields and sizes. If you have ever considered selling your law practice or law firm, please feel free to give Crowne Atlantic Business Brokers a call for a free consultation at 407-478-4101. Recently we sold this beautiful small Italian restaurant in the Central Florida area. The business sold to an experienced restaurant operator for a great price. The restaurant was struggling to make a profit for the current owner, even though their menu and sales were doing pretty well. 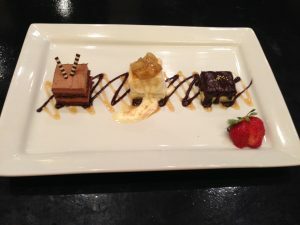 For the Buyer it was a great opportunity to come in with fresh enthusiasm to help make the restaurant profitable again. To transition the Buyer plans on keeping the staff and the restaurant’s existing concept. Most of the changes may come in the form of operational changes where the new owner may work on worker schedules to make sure payroll is not too high and additional workers are not scheduled to work on the slower nights. Some adjustments may also be made to the food costs making sure less food goes to waste and potentially making more food from scratch and in-house. If you would like more information on how Crowne Atlantic Business Brokers can sell you a restaurant in the Orlando and Greater Central Florida area please check out our website at www.crowneatlantic.com or phone us at 407-478-4101. In the Orlando and Central Florida area vacation property management is a huge industry. The business caters to mostly to out-of-town tourists looking to stay more in a house setting than a hotel setting when spending time in Orlando. Vacation property management handles what the real estate industry calls, short-term rentals, with most rentals lasting anywhere from a few days to a few months. Vacation property management companies have two sets of clients they must work with. The first set of clients are the home owners. Many of these home owners use the homes themselves at certain times of the year, others have purchased these homes as an investment. These home owners typically hire property management companies to watch over their homes while they are not in the area. Many of them are located overseas. The property management company makes sure the lawns are mowed, pools are cleaned, and the homes are cleaned and well cared for. The property management company owner will either take on some of these tasks themselves or hires out subcontractors. The second set of clients that a vacation property management company must cater to are the guests. The homes need to be well managed and well maintained. They also need to be cleaned before and after guests stay at the home. The majority of these homes are located in the Polk, Osceola, and Lake County areas. Orange and Seminole Counties pretty much do not allow short-term rentals within county limits. Many of the homes managed have anywhere from 3 to 6 bedrooms and have swimming pools. Overall it is a pretty straightforward business to buy in the Orlando area with a lot of room for growth. Many people from overseas have been known to purchase them because they are easy to understand and they provide sustainable income year round. Because they are short-term rental companies, Florida allows people to rent out short-term rentals without the need for a real estate license whereas someone would need to be licensed to rent out a long-term rental. If you have an interest in purchasing a short-term rental or vacation property management business or selling one, give Crowne Atlantic Business Brokers a call at 407-478-4101. Recently Crowne Atlantic Business Brokers sold a property management company for $250,000. This company focused primarily on vacation property management otherwise known as short-term rentals. Overall the company was a great deal for the Buyer. It will provide them with an above 6-figure income along with a potential to grow. The Seller was able to get $250,000 at closing which will allow them to pursue other business interests. While most buyers for vacation property management companies are from other countries in pursuit of investment visas such as the E2 visa, L1 visa, or EB5 visa, this particular buyer was an American citizen. They did not purchase the property management business for a visa, it just happened to be a business formula that they liked. If you have an interest in purchasing a vacation property management business whether it is for a visa or not…….we can help. At the same time if you are interested in selling a property management business, we have a lot of Buyer demand for them. Check out our website at www.crowneatlantic.com or call Crowne Atlantic Business Brokers at 407-478-4101. Recently Crowne Atlantic Business Brokers sold an Italian Restaurant in the Central Florida area. The transaction was a great situation for both Buyer and Seller. The Seller felt that they simply were not succesful with the restaurant business and felt that they needed to move on. The buying party had experience in the restaurant industry and already owned another restaurant in town and was looking to expand. 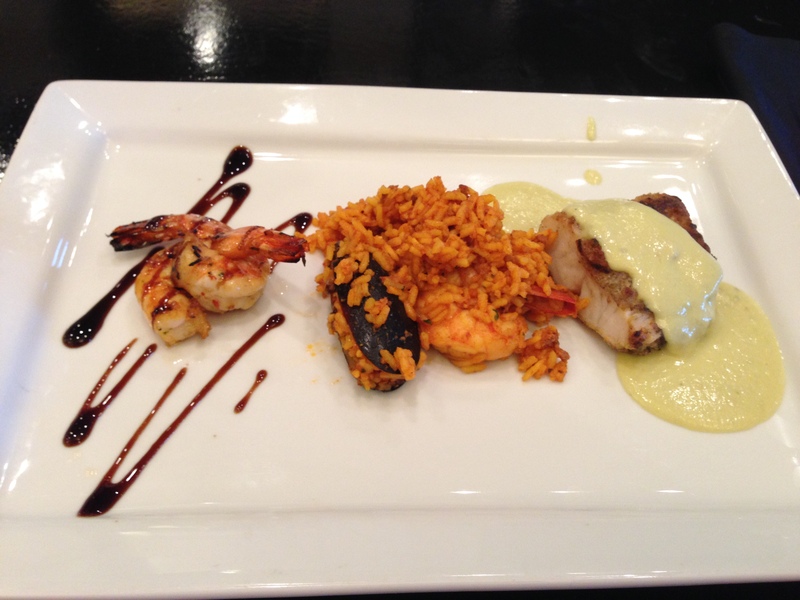 At Crowne Atlantic Business Brokers, selling restaurants is a huge specialty for us. We even have a niche within the restaurant industry where we help sellers sell restaurants that are underperforming, struggling, or in some cases recently shut down. Why would someone purchase a poorly performing restaurant you ask? The answer is simple. There is a segment of buyers that are looking to purchase struggling and underperforming restaurants. These buyers in many case are experienced and in most cases are looking for a good deal. 1) A huge price reduction for the Buyer. Buying a profitable restaurant typically means that the price paid is more than the net profit of the business per year. When a restaurant makes little or no money, sometimes the price is based more on the equipment and asset value. 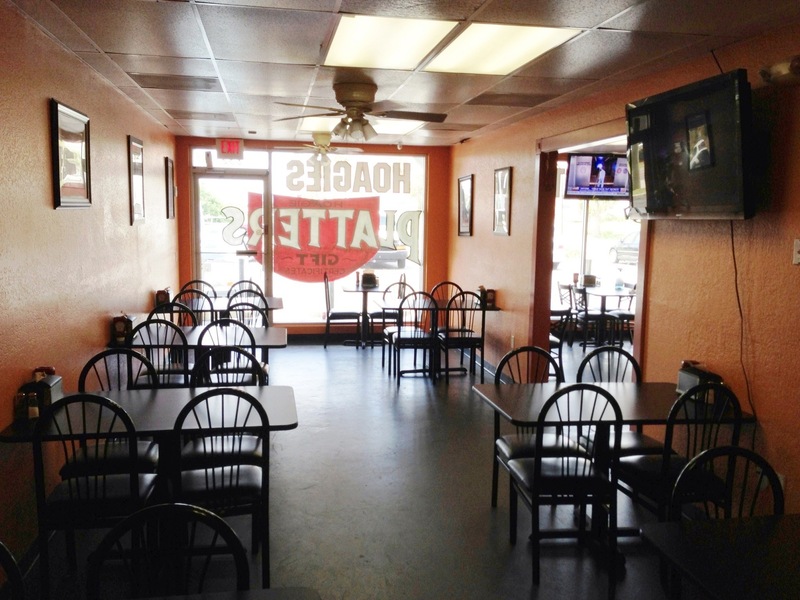 Essentially it is the best way to acquire a cheap restaurant for sale in the Orlando area. 2) Cheaper buildout costs for the Buyer. A Buyer that moves into an existing restaurant can save on permitting costs, impact fees, and rent when taking over an existing restaurant as opposed to building one out from scratch. 3) Time Savings for the Buyer. There is a huge savings on time when a Buyer purchases an existing restaurant. If they plan to change the concept they have a huge head start when it comes to potential buildout costs that they can potentially avoid. In many cases, Buyers purchase a restaurant because they do like the current concept. They feel that the Seller may not be operating the restaurant correctly or they simply feel that they will work the restaurant different and add or subtract items and do a better job than the current owner. This also helps Buyers that have extensive restaurant management experience but are not as skilled at coming up with potential restaurant concepts and menus. Whether you are looking to Buy or Sell a restaurant, contact Crowne Atlantic Business Brokers on our website at www.crowneatlantic.com or call us at 407-478-4101. In our office we work with all different types of businesses and every industry is different. In fact, each business we have ever sold has been unique. When we work with selling a medical based business, there are some major items that need to be dealt with at the time of a transaction. It is always important that the buyer, seller, and broker understand these items so they can handle them when the time comes. Otherwise, the deal could potentially fall through. One of the aspects business brokers deal with when selling a medical business in Florida is working with state licensing, including Medicaid licenses. These licenses are handled through AHCA (Agency for Health Care Administration). Working with AHCA http://ahca.myflorida.com , is always interesting. Typically, there is a 60 day transfer with this license. Keep in mind However, that it is 60 days from the time AHCA receives the application. When filling out this application, the Buyer must be absolutely precise and not miss anything on the transfer form. If the Buyer looking to transfer the license misses something on the form, AHCA can reject the form and the Buyer has to resubmit the application once the mistake has been corrected. This mistake could take up to an additional 6 weeks to be corrected. ACHA requires other items such as finger prints from the person looking to acquire the license. But sometimes the finger prints are too light and they get rejected. If that happens, you must get fingerprinted again and then that is another 6 weeks. At Crowne Atlantic Business Brokers, we suggest using FedEx with this agency so you always have a confirmation. In the past, we’ve advised our clients to send mail with return receipt, to fax, and to scan and email all communication to AHCA to ensure some form of delivery. If you the sale of your medical business requires a Medicaid License transfer, whether it is a Doctors office, home health agency, or another Medical business, plan on 90 days. Here is the link: http://www.fdhc.state.fl.us/MCHQ/Health_Facility_Regulation/HealthCareClinic/change_ownership.shtml. As main street business brokers, we never promote using a stock sale to sell a business. However, if you want a business that has a license with Medicare and gets reimbursed by Medicare, this license is almost impossible to transfer. At the end of the day, many medical businesses use a stock sale purchase when they sell thus insuring that the Buyer continues to have access to the business’s Medicare License. To do a stock sale properly, both Buyer and Seller are recommended to obtain proper legal counsel and indemnifications on both the Buyer and Seller side. Obtaining a new Medicare license is not easy and often Medicare requires you to be operational for many months before reimbursing…and they don’t reimburse retroactively. You can see the 59-page CHOW (change of ownership) application here: http://www.cms.gov/Medicare/CMS-Forms/CMS-Forms/downloads/cms855a.pdf. If you contact Blue Cross and Blue Shield, and United and Cigna and such, they will all give you the same answer. The business is tied to the Tax I.D. number. Tax I.D. numbers are only transferrable with a stock sale. However, if you want to avoid a stock sale, many insurance companies will agree to work with medical businesses long as they qualify with the company’s standards. Depending on the type of medical business, this transition may go fast or it may take a year or two. When very personalized medical businesses sell such as Dental Practice or Family Physician practices for sale, Sellers will often take on the Buyer as a partner and the transition takes place over a time frame of one to five years. A great tip is to keep the management, receptionist, and any other important staff members in place to help make for a smooth transition. Often the staff knows the patients, their spouses, their kids, etc, so it is always helpful for a new owner to keep them on. When transferring a business such as an MRI Facility for sale or a Rehab Business for sale, the most important thing for the Buyer to keep is the contacts that feed patients to that facility. Buyers need to be aware how the seller will transfer those important contacts. Often these contacts are not given out until the closing. The Seller may share a few possibly, but generally not the entire referral list. Banks love to finance businesses for Doctors. Though an SBA Guaranteed loan is difficult for some industries, it is easier to get approved for a medical business if you are a doctor or own other medical businesses. At Crowne Atlantic Business Brokers, we sell all types of medical businesses, dental practices, medical practices, MRI facilities, rehab facilities, home care agencies, assisted living facilities and alternative health facilities as well. For a 360 Business Valuation on your medical business or for more information on how to buyer or sell a business, please feel free to call us at 407-478-4101 or www.crowneatlantic.com. As main street business brokers, one of the biggest requests we receive is for Pizza and Italian restaurants. At Crowne Atlantic Business Brokers, we know that Buyers love these types of restaurants. They are easily identifiable to most Americans and most Americans know how they like their Italian food and how they like their pizza. This is one of the reasons why we, as business brokers get so many requests for Pizza and Italian Restaurants. When a buyer looks at pizza and Italian restaurants for sale in the Orlando area, they will find these restaurants fall mostly into four categories. 1) The first category is the Take-out and Delivery Pizza category. These shops are typically smaller and have very little to no seating at all. Their sales are derived either from a high traffic area or from deliveries normally based on advertising. Take-out and delivery pizza restaurants can be very profitable particularly by keeping low overhead. There are no tables to wash, no servers to manage, and many times drivers are paid a nominal wage, use their own vehicles, and make their money off of customer tips. They basically take the most profitable aspects of the pizza business and run with it. Papa Johns, Dominoes, and other pizza franchises use this model. It works for both franchises and independent restaurants. 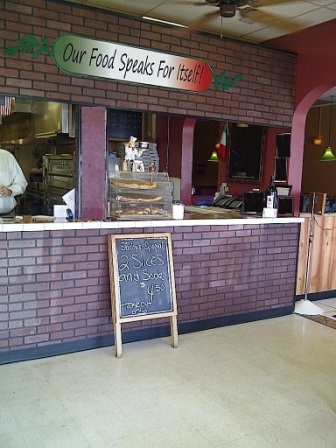 2) The second category is the small pizza/ Italian restaurant. Normally these restaurants have anywhere from 10 to 70 seats. They focus on pizza, but also on Italian dishes both simple and complicated. Chicken Parmesan, Rigatoni, Pasta and Meatballs, and Stromboli in addition to pizza are typically found on the menu. 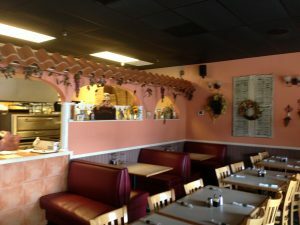 Customers like the small Italian atmosphere when it comes to dine-in and business buyers like them for the same reason. Typically these restaurants do a form of take-out or delivery business unless they are in an extremely high walking traffic area or they are more of a fine-dining Italian restaurant. In most cases their extra profit is made from the delivery and take-out business, however the dine-in business is more coveted by both Business Buyers and Sellers. 3) The third category is your large pizza and Italian restaurants. Many of these restaurants profit from both their pizza and their Italian food. These restaurants typically have close to 100 seats or more. In the Orlando and Central Florida area, these restaurants typically sell more wine and beer and have a good amount of dine-in business. If they have more than 150 seats, they typically sell full liquor and many times customers have the option of sitting at a bar if they want. Some of these larger restaurants have delivery and some of them do not, however most of them still offer take-out and some will offer delivery through another delivery service. These restaurants for sale typically make the most money out of the four categories , but they also have the highest overhead and require the most amount of capital. The benefit of these investments is that when Crowne Atlantic Business Brokers sells a restaurant of this proportion to a Buyer, we know that they will be earning close to a 6-figure income or even more. 4) The fourth category is the one least talked about, but one that we as business brokers get constantly. At Crowne Atlantic Business Brokers we get requests on a weekly basis for Italian and Pizza restaurants that have fallen into trouble. Buyers go crazy for pizza and Italian restaurants that are not making it or are only making a small profit as they hope they can pick up these restaurants for a smaller price. The reality is however that most buyers are not up for the challenge and it is really only those that have restaurant experience that should look at these opportunities. Over the years, Crowne Atlantic Business Brokers has sold hundreds of Italian and pizza restaurants in these struggling positions, but they typically take the most amount of effort on the Buyer’s part out of the four categories. Mexican food is becoming more trendy and more dynamic. No longer are Mexican restaurants subject to out of the way stops on the side of the road or stereotyped as Taco Bell type restaurants. With the rise in popularity of restaurants such as Moe’s Southwest Grill and Chipotle, more Mexican menu items can be found and more formal Mexican concepts can also be found. Many believe that Chicken Tortilla Soup (Mexican inspired menu item) is now one of the most heavily order soups in the country. Cuisine that features things such as Ramen and Sriracha sauce are becoming big. Plus you can see that finding Teriyaki sauces and ginger dressings for salads are also more common in restaurants now such as Teriyaki flavored chicken wings. Pickled food items such as Kimchi are becoming popular. Pickling is huge in Asia including places like Russia and Korea. You’ve heard of craft beer! Its the same concept except now they are doing it with soda. These are many times found more in bars and Gastropubs. Many new restaurants, bars, and gastropubs are featuring menu items that are made from local produce and locally sourced meats. These restaurants often highlight these healthier items as major attributes to eating in their restaurants. More and more restaurants are featuring items that cater to those with allergies or those sticking to a particular diet such as gluten-free items, items that have under a certain amount of calories, and items not made with diary or nuts. Just to show how far this trend has come, try ordering your pasta dish with gluten-free pasta and you will see that many major Italian restaurants will have that available.